“The unique fusing process we are using in our Techno-Fusion® mirrors, allows us to supply very light mirrors with increased rigidity and at an affordable price. Through its open central structure and adequate ventilation, our mirrors reach their thermal balance within 20 minutes and will remain stable during the entire observation session” explains Normand Fullum, president of Optiques Fullum inc. “The delivery of this telescope represents another important benchmark in the establishment of our company as one of the most reputable manufacturers of this type of equipment” continues Fullum. About Optiques Fullum: Optiques Fullum is leader in custom-made high precision optics. Through world-class optical fabrication techniques, custom equipment and strong partnerships with universities and research centres, Optiques Fullum can meet even the most challenging requirements. 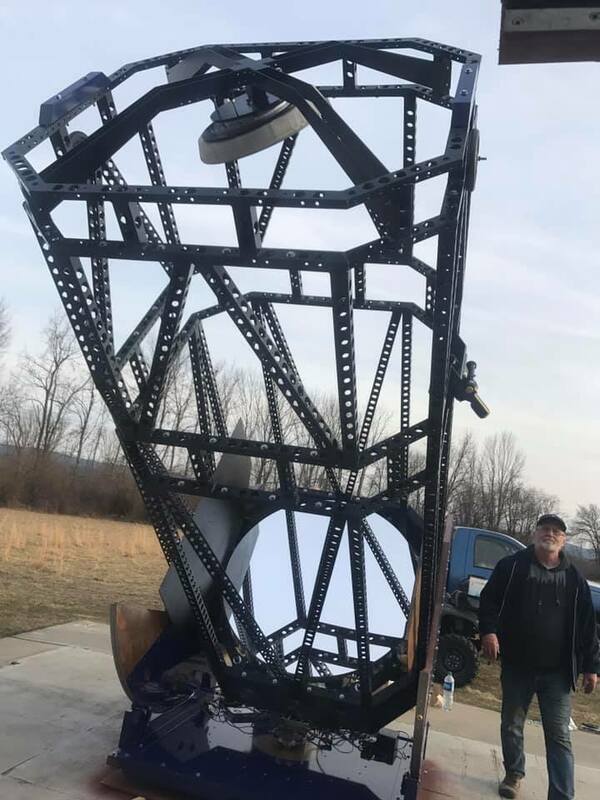 Through the use of innovative techniques like the Techno-Fusion® technique or the Fullum-Folded Newtonian Telescope, Optiques Fullum is able to bring high-end large telescopes and optical mirrors to the market at affordable cost. All large diameter telescopes are built to order and are fully customized to the specific needs and objectives of the client: visual observation, research or imaging.